Musical Resume, Warren is an adjunct professor of Saxophone and Clarinet at the County College of Morris in Randolph, NJ. He is a member of the Philadelphia Saxophone Quartet, who have been featured with symphony orchestras in the Northeast, including Providence, RI; Buffalo, NY; Portland, ME; Norfolk, VA; and Myrtle Beach, SC. 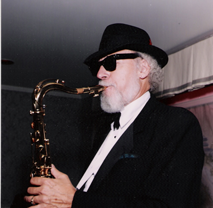 Mr. Fioretti is also a member of the saxophone quartet, SaxPlus, and plays in the Harry James Band, and two Jersey Shore-area big bands, the Jazz Lobsters, and the Lakewood Jazz Ensemble. His stage credits include appearances with the bands of Nelson Riddle, Les Elgart, and Buddy Morrow, and performers Natalie Cole, Aretha Franklin, The Manhattan Transfer, Lou Rawls, Louis Bellson, Bob Mintzer, Carl Saunders, Arturo Sandoval and Phil Woods, among others. Mr. Fioretti also has Bachelor’s and Master’s degrees in Mechanical Engineering from the New Jersey Institute of Technology, and many years experience in that field.